We offer a full range of property management services tailored to you as an investor, homeowner, or landlord. We have an extensive portfolio of single family homes, townhouses and condos in the El Dorado Hills area. Some of the many benefits of trusting KTB with your El Dorado Hills Property Management needs are detailed below. Each program below is designed to fit the various needs of today's changing rental market. Which one is the perfect match for you? Our most popular option, this serves the needs of an owner that needs a professional management company to handle both leasing and management of the home. If you have never managed a home, have no time to do it, or are unfamiliar with California Landlord Tenant Laws, this is the service for you. KTB Property Management has leased over 3,000 houses in their 20 plus years of Property Management. We currently lease 10 to 15 homes a month; some using or Full Management Services and others with just the Rent-up Option. 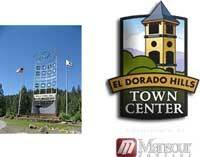 Our market place is the entire greater El Dorado Hills region including Placer, and El Dorado counties. Here is an overview of the steps we take to market and lease your property. Our staff of trained professionals is always available to discuss your leasing concerns and answer all of your questions about getting your investment leased quickly. We will provide an up to date rental market analysis. We will advise you on what it will take to make your investment market ready for today's tenant. No up-front fees, photo fees, or website advertising fees. When owners choose KTB Property Management to manage their investment property they know they have chosen a professionally trained team of real estate professionals along with well-developed systems to do the job right. We have structured our management system into three areas; Money Management, Tenant Management and Overall Property Management. Below is a brief overview of some of these services. All monies (from all parties) go into Trust Accounts which is required by the California Department of Real Estate who has the right to audit these accounts at any time. Please ask for a quote for larger units. One of your biggest expenses will take place during a vacancy; i.e., rehab costs, cleaning fees, lawn care, utilities, and worst of all no rental income. KTB Property Management is motivated to keep a tenant occupying your investment thus there is a small renewal fee. These are a few examples of the services KTB Property Management makes available to our valued clients. We understand you may require more information before making this important decision of whom to entrust your investment. We look forward to answering any of your questions. For more detailed information, please contact us directly or via email. Thank you for inquiring with KTB Property Management. We look forward to the opportunity to serve you. (We lease, you manage.) In this program, we handle the marketing, showings, tenant screening and move in. Then we turn over the duties of managing the home to you. If you have limited resources to advertise, no time to find a good tenant, and need a tested and proven lease, this option is for you. KTB’s Property Management Tenant Placement Service may just be the answer. We will market your property the exact same way we market our other properties. You get all the same website exposure, leasing agent attention, Real Estate market notification and signage as our lease-with-management clients get. We currently receive 30 to 40 applications a month and can lease your home quickly to a well-qualified tenant. You are 100% involved with the decision making. We will contact you when we have a qualified application. We will show the property; process the application; obtain their credit, rental history, and verify employment; we then review the application with you. Since you will be managing the tenant you should be making the decision as to who receives approved and the terms of the rental agreement. We will get your authorization in writing and prepare the paperwork, consistent with your approval. We will have the tenant authorize a Rental Agreement naming you (your LLC, Corporation or Land Trust) as the landlord. This lease has been written and approved by the California Association of Realtors. As CAR members, we are authorized to use this Rental Agreement on your behalf. Real Estate attorneys have developed this Rental Agreement and it is used throughout the State. You will also receive all the needed addendums like a pet addendum, roommate addendum, mold disclosure and more. KTB will perform the Move-In Inspection. We will meet the tenant at the property, document the condition, take photographs, log the make, model, and color of the appliances, hand over keys, receive the security deposit plus the first month of rent in certified funds. You will be holding their security deposit, not KTB. This is done to conform to the California Landlord Tenant Law so you are on the right track from day one! You get all the original documents and the security deposit. Within 7 days of their move-in you will receive all the signed documents, application, credit report, security deposit and phone numbers. KTB will keep 75% of the first month's rent as our fee and you will receive the rest. If the tenant renews the lease (or buys the property) you owe us nothing. You get our marketing expertise, our professional staff, our time tested qualifying system, A rental agreement with addendums from the California Association of Realtors, and the benefit of our move-in procedures. Submit your property information so that we can run a rental comps analysis. You will receive this within 24 hours, except on weekends. Pay the $500.00 marketing fee (see explanation of the marketing fee below). You get to go on vacation! We’ll do the rest; it’s that simple! Why it makes good sense to pay KTB Property Management a $500.00 marketing fee to get into the Tenant Placement program. There are two reasons we collect a marketing fee before we list the property. First, we’ve done Tenant Placement for over 20 years. Experience has ta	ught us that investors who use this service are entrepreneurs and hands-on investors. They will place their property on the market with KTB just to see what happens, and continue to advertise and look for their own tenant. We understand that no one wants to sits back, folds their hands and waits for us to lease the property. They keep trying to rent it themselves. Too often, after listing the property with us, owners will accept an applicant (many times an unqualified one) from another source, and withdraw the listing to keep from paying our fee. This can be frustrating and very expensive. We have learned over time that we should expect this and not try to prevent it. Although it was unfair to KTB we could not figure out how to prevent it. So we stopped trying. The advance fee helps us recover some of our initial marketing expenses when this situation occurs. Now you can rent your own property, after listing with KTB, and pay nothing extra. Secondly, it’s expensive to send someone to the property to take digital pictures, prepare them for marketing, prepare flyers for the local Realtors, list it on websites, put up a sign, and place a lockbox on the property. It takes a lot of time and manpower to get this done. The $500.00 advance fee helps cover some of these expenses and shows us that you are serious about tapping into our system. We don’t want everybody jumping on board “just to see how it works” as it takes too much time, labor, and money getting a property into the system. The cost of the Tenant Placement service is $500.00 to get started, then the balance of 75% of the first month's rent when we lease the property. This is our most economical choice; this program allows our investors to tap into our advertising resources and to get more traffic through the door. If you are paying too much in advertising and not getting the results you need, this program just may help. We will post the Internet advertising using our most effective rental hosting websites, take the calls live, and forward the screened prospect directly to you to handle the showing and negotiating. We can even get an application completed and pull a credit report for you. For the do-it-yourself investor, looking for maximum marketing exposure for the dollar, KTB Property Management will list your property in our marketing program, screen the callers, get an application (and credit report) and pass them on to you. The property can be anywhere in greater El Dorado Hills; our marketing program covers El Dorado Hills, Placer, Yolo and El Dorado counties. El Dorado Hills Town Center is the emerging downtown district of El Dorado Hills and western El Dorado County, 20 miles east of Sacramento, a vibrant urban center of culture and center of commerce in the suburbs of the Sacramento metropolitan region. The all-new mixed-use project, a development of The Mansour Company, has successfully pulled together a great mix of uses – local and national retailers, cafés, restaurants and bars, movie theater, hotel, gourmet market, fitness club, day spa, luxury car dealership, professional and medical offices, public amphitheatre, dramatic fountains and waterways, and broad public plazas. Town Center is built like a traditional downtown, a main street where people gather, work, stroll along broad sidewalks, enjoy lakeside dining and quality accommodations. Beautiful El Dorado Hills is nestled in the picturesque mountain foothills of the Sierras and is often referred to as the gateway to El Dorado County. With elevations ranging from 200 feet to over 10,800 feet, there is tremendous diversity in the landscape and much to discover. Rich in history and with a wide variety of recreational choices, there is something for everyone. The westward view opens to a vista of the Sacramento Valley and Folsom Lake. The higher ridges through the community offer spectacular views of the Sierra Nevada Mountains. It is a community that offers visitors the amenities of shops, hotels, services, entertainment and restaurants that make their stay more pleasant. In the last several years this area has seen great progress in business investments and employment opportunities. This community is very proud of its education and cultural advancements with two dance academies, a musical theatre ensemble as well as home to numerous art galleries. Recreational activities in El Dorado Hills include biking country roads, walking trails along small streams, boating and jet skiing at Folsom Lake, as well as hiking trails around the lake. Folsom Lake, with seventy-seven miles of shoreline, is one of the most heavily used recreational areas in the state. Visitors to El Dorado Hills may enjoy wine tasting and exploring the delightful wineries that have become famous in El Dorado County. Nearby Apple Hill is host to a variety of activities at fruit orchards, pumpkin farms, bakeshops, craft fairs and breweries.